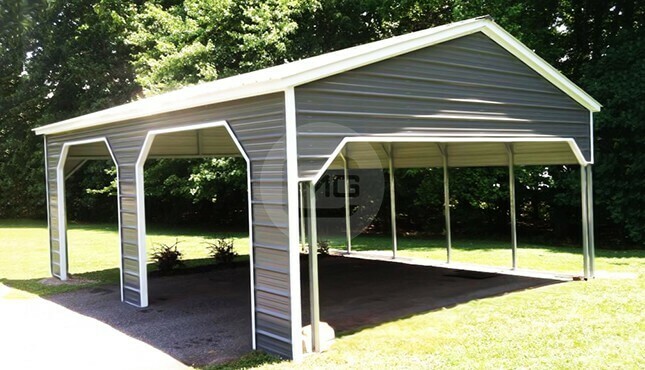 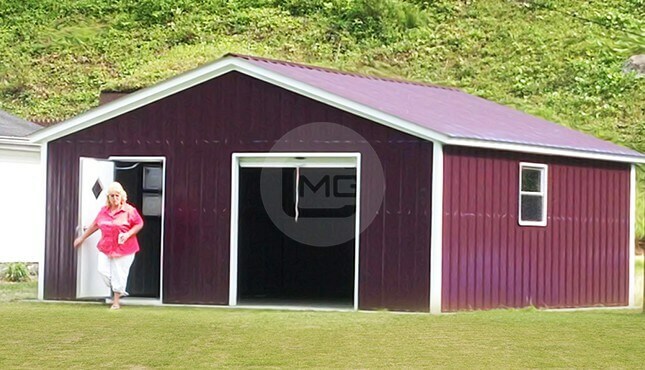 Vertical Roof Certified 24’W x 36’L x 10’Ht. 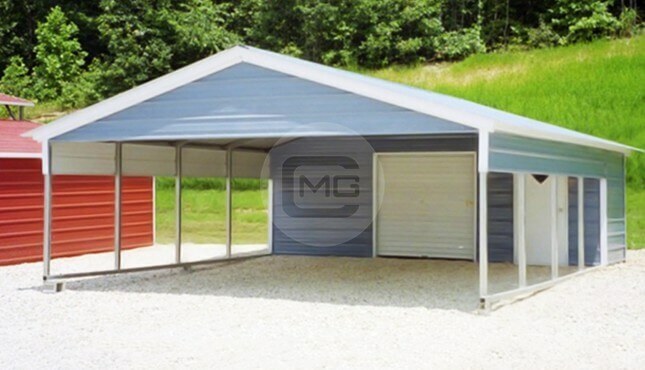 Enclosed Side Entry Garage with (3) Garage on front side, (2) Window and a 12’W x 36’L x 8’Ht. 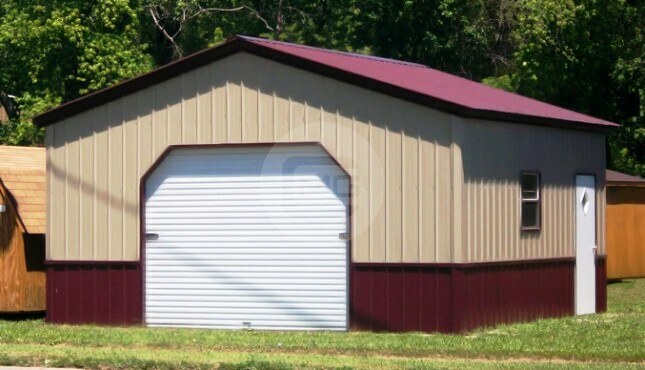 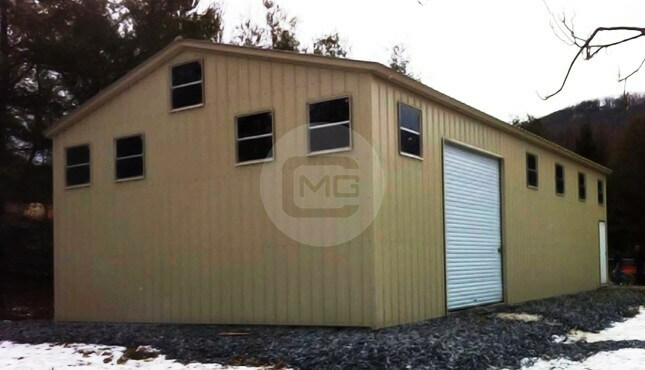 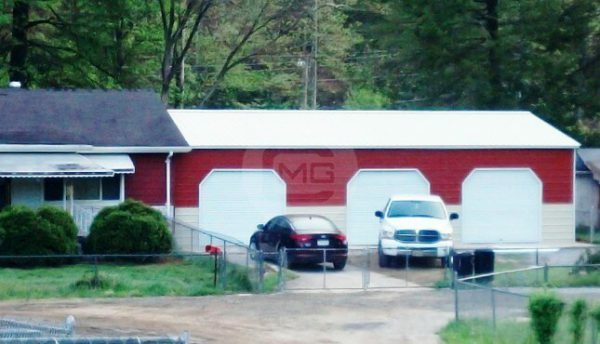 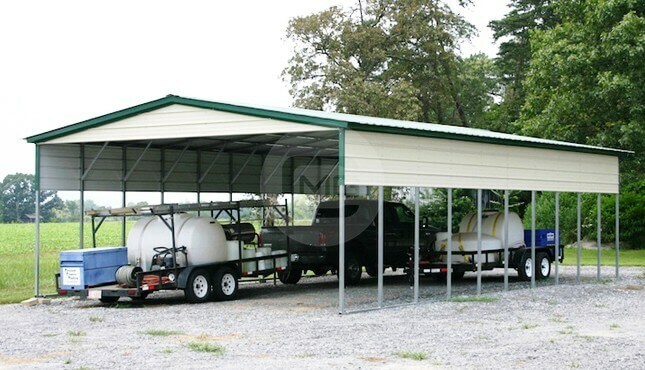 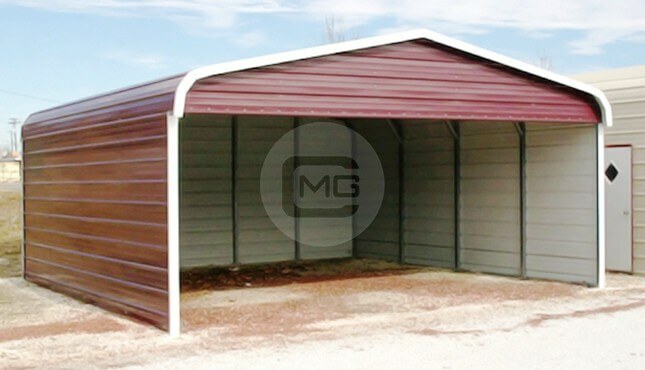 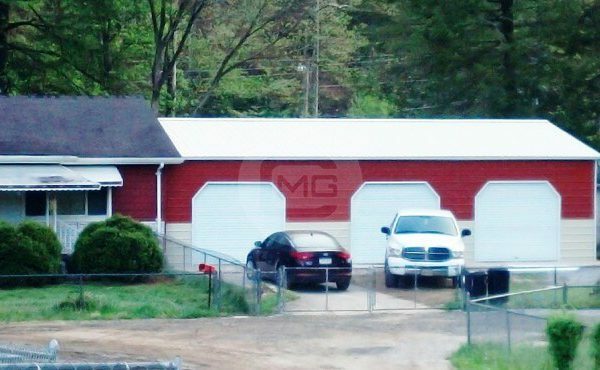 Enclosed Lean-to Workshop, Walk In Door frame out for access from 24x36x10 Garage into 12x36x8 workshop space.